In every city I visit, I always like to find a tall building to climb to get a view of the place from above. You can spot the city’s famous landmarks and get an idea of its scale and how things all fit together. 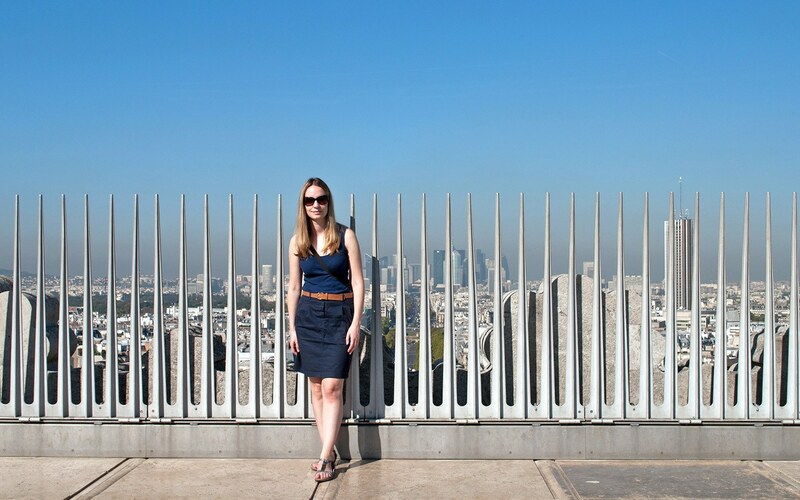 And Paris has no shortage of panoramic viewpoints. In my autumn there I tried out as many as I could, and these are five of my favourites – whether you want to get to the top of the Eiffel Tower or just get the best view of it; whether you want to reach the heights in seconds in a lift or burn off some of that French food climbing your way up; and whether you’re just looking to catch the views or soak them up over dinner and drinks up on high. 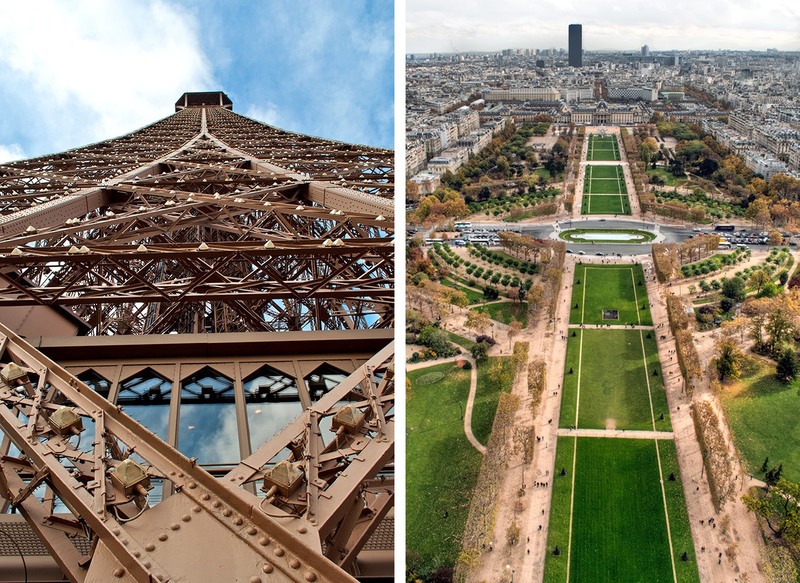 As Paris’ most famous symbol and the city’s tallest point, it’s no surprise climbing the Eiffel Tower is top of many people’s Paris wishlists. 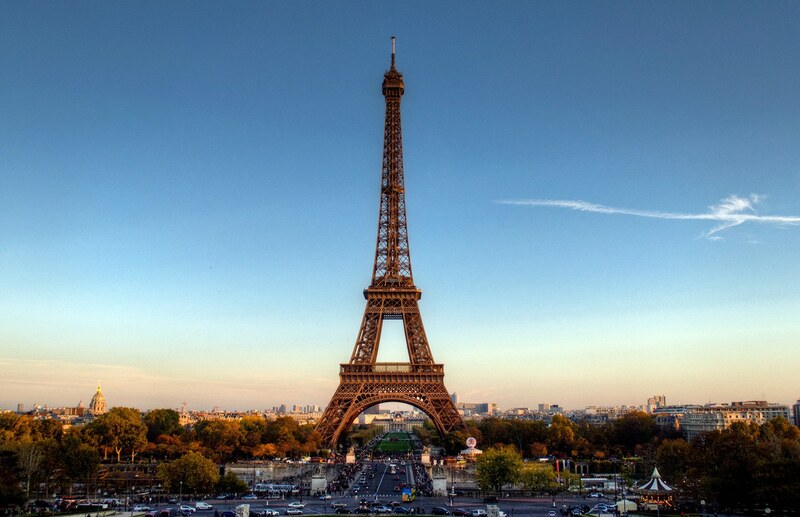 The Tower was built in 1889 for the Worlds Fair by the engineer Gustave Eiffel, and at 324 metres high it was the tallest building in the world until 1930. Famously only meant as a temporary structure to last 20 years and despite most locals thinking it was an eyesore when it was first built, it’s still going strong and attracting 7 million visitors a year – no wonder there’s always a queue! To reach to the first and second floors you can take the stairs or a hydraulic lift which travels diagonally up the Tower’s legs. From the second floor at 115 metres you already get amazing views across the city, and you’re not even halfway up. The second floor is also home to the Jules Verne restaurant, serving Michelin-starred food with a view – though make sure to book in advance and bring a fat wallet. Then from there it’s straight up another 160 metres to the top. Despite the small space they’ve managed to squeeze in a compact Champagne bar, so for €13 you can toast Paris from its highest point with a glass of bubbly. The details: The Eiffel Tower is open every day, from 9am–12.45am mid-June to early September and 9.30am–11.45pm the rest of the year. Tickets to the top costs €25 for adults, €12.50 for 12–24s and €6.30 for under 11s (or it’s just €10 for the stairs to the second floor). Be prepared for a long wait in line, or dodge the queues with skip the line access. The nearest Metro is at Bir-Hakeim or RER is Champ de Mars. The much-maligned Montparnasse Tower is a big box-like blot on the Parisian skyline, and was even once voted the second ugliest building in the world. But as the haters like to point out, at least when you’re up at the top you can’t see it! At 210 metres tall, it was Paris’ tallest skyscraper when it was built in 1968 and is still the only one in the city centre, as afterwards they restricted such tall buildings to the La Defence area. The tower is mostly made up of offices, but the 56th floor and roof are open to the public. A super-fast lift takes you to the top in 38 seconds, where the open air roof terrace has curved glass wall looking out across the city in all directions. 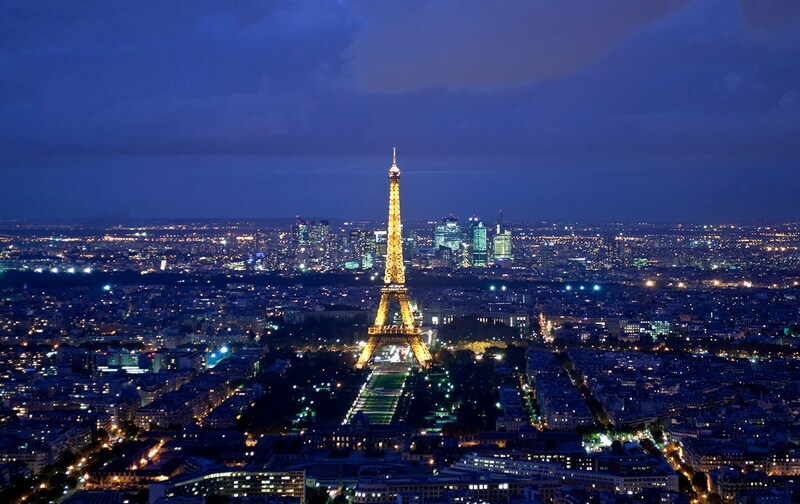 The views are best at dusk when you can watch the lights come on across Paris, and see the Eiffel Tower sparkle when it lights up on the hour. You can have a glass of Champagne on the roof terrace, or there’s a bar and restaurant – Le Ceil de Paris – inside, with the view for a price of a drink. 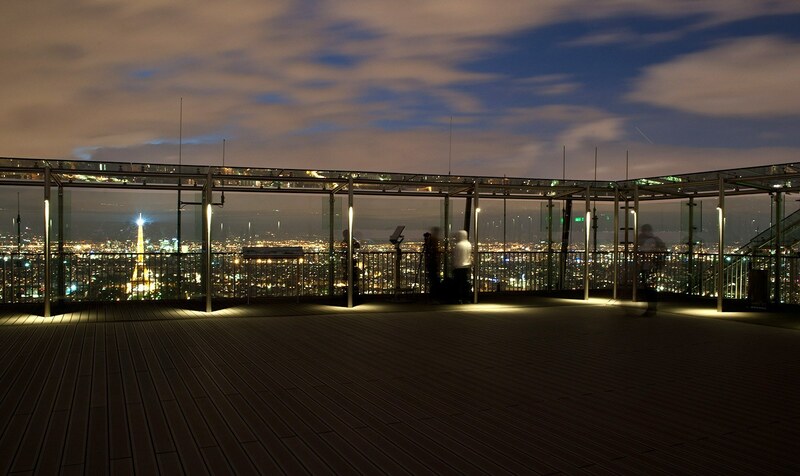 The details: The Montparnasse Tower is open every day from 9.30am–11.30pm. Entry costs €18 for adults, €15 for students, or €9.50 for children aged 4–11. There’s also a day and night ticket available where you can go up to the top twice within 48 hours (€23 adults/€20 students/€16 children). You can book online in advance but the queues usually aren’t too long. The nearest Metro is at Montparnasse Bienvenüe. 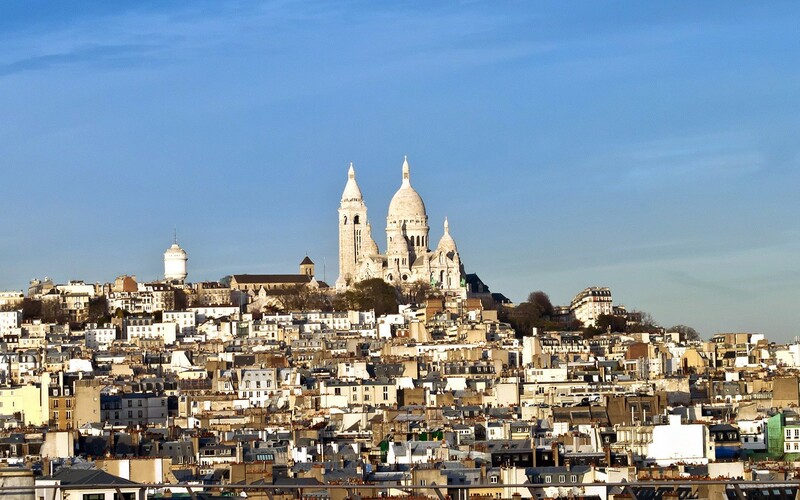 Although it’s only 83 metres high, the dome of Sacré-Cœur Basilica has the honour of being Paris’ second-highest point because of its position right on the top of Montmartre hill. The basilica was built between 1876 and 1912 in honour of the victims of the Franco–Prussian war. 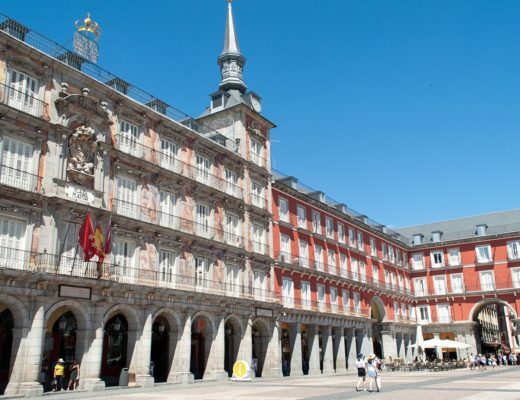 It’s made from white travertine limestone which gets whiter as it ages, in an unusual mix of architectural styles that was controversial at the time. The climb up to the top of the inner dome take you over 300 narrow spiralling stairs, so it’s not a good one if you’re claustrophobic. Then at the top there’s a gallery so you can walk around the dome for a 360-degree panorama of the city. 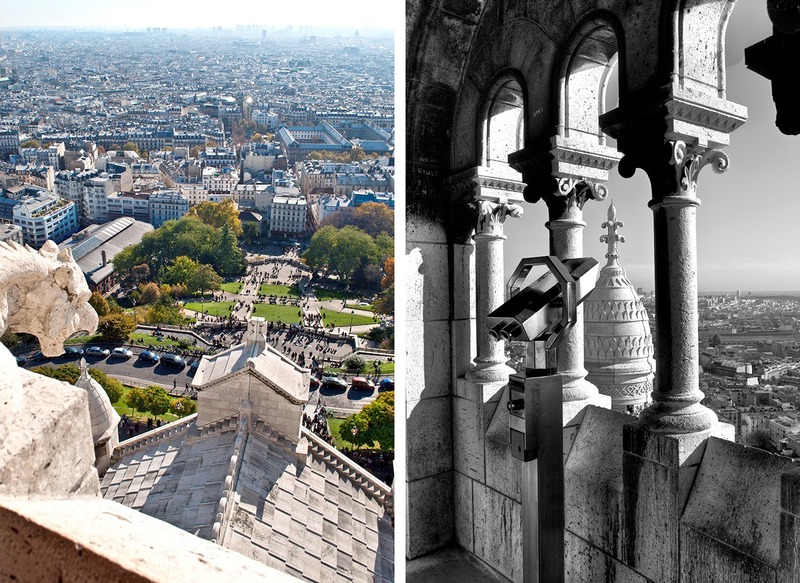 You’re up at a height of 213 metres and on a clear day you can see for over 30 miles, as well as getting a great close-up view of the basilica’s bell towers and stone gargoyles. 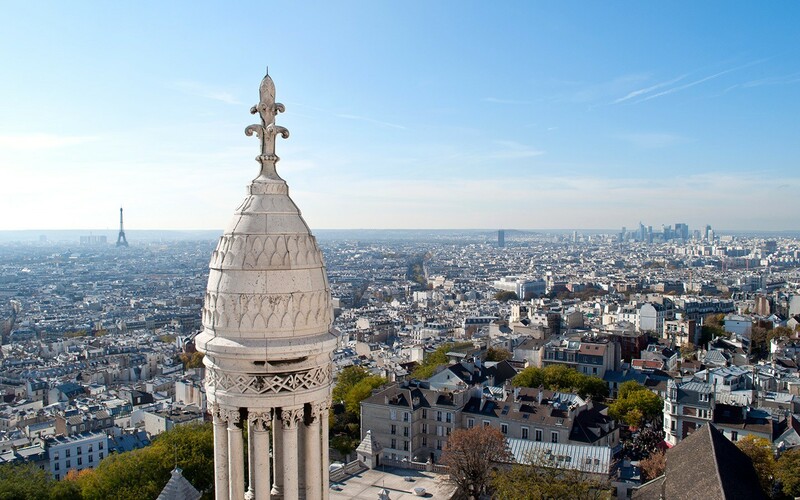 The details: Sacré-Cœur Basilica is open daily from 6am–10.30pm, and you can access the dome from 8.30am–8pm from May to September or 9am–5pm from October to April. Entry to the basilica is free, but the dome costs €6 for adults or €4 for children. The nearest Metro is at Abbesses, from where it’s a bit of an uphill walk, or from Anvers there’s a funicular railway from the bottom of Montmartre hill. At only 50 metres high the Arc de Triomphe is nowhere near the tallest building in Paris, but its location makes it a one of my favourite viewpoints. It was commissioned in 1806 by Napoleon to honour the French army, though it wasn’t completed until after he died. It’s engraved with names of soldiers who fought in the French Revolution and Napoleanic wars, and houses the Tomb of the Unknown Soldier from WWI. 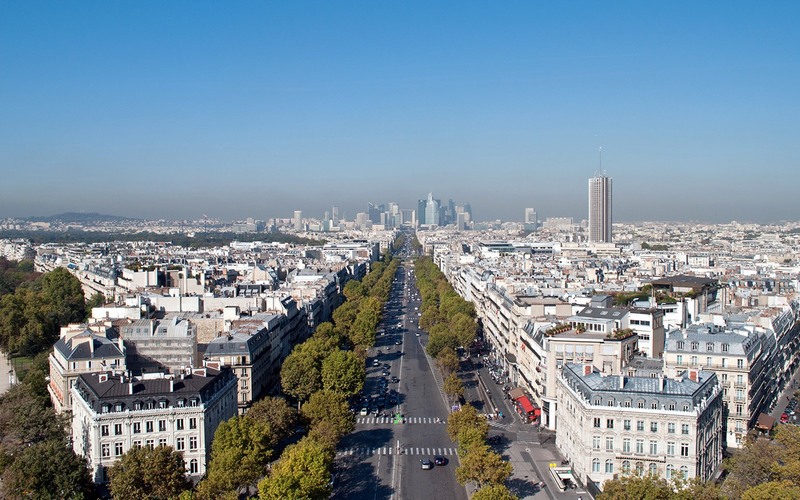 The Arc is at the end of the Champs Élysees, where 12 roads radiate outwards from a junction called the Etoile (star) which is famed for its manic traffic. 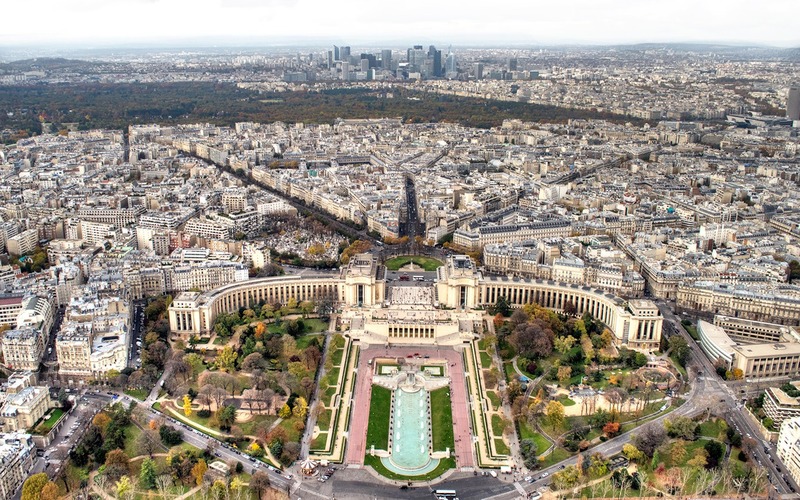 It forms an axis of arches through the centre of Paris, with the Arc de Triomphe du Carrousel next to the Louvre at one end and the Grande Arche in La Defense at the other. You can see both of them from the viewing platform on top of the Arc, as well as the swarming traffic below. Although it doesn’t look that tall, you have to climb 100 spiral stairs to reach the top, and its central location gives you a great view of the Eiffel Tower, Tuileries Gardens and Place de la Concorde. The details: The Arc de Triomphe is open every day 10am–10.30pm (until 11pm from April to September), except for during certain military events. Entry costs €8 for adults, €5 for students aged 18–25 and free for under 18s, or you can buy skip-the-line tickets online. 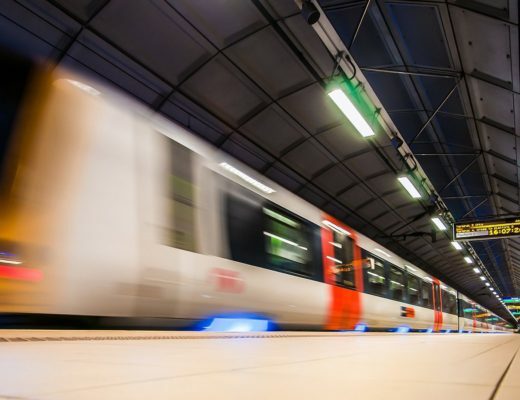 The nearest Metro is at Charles-de-Gaulle-Etoile and you can avoid the scary Champs Élysees traffic by taking the underpass from Wagram exit of the Metro. 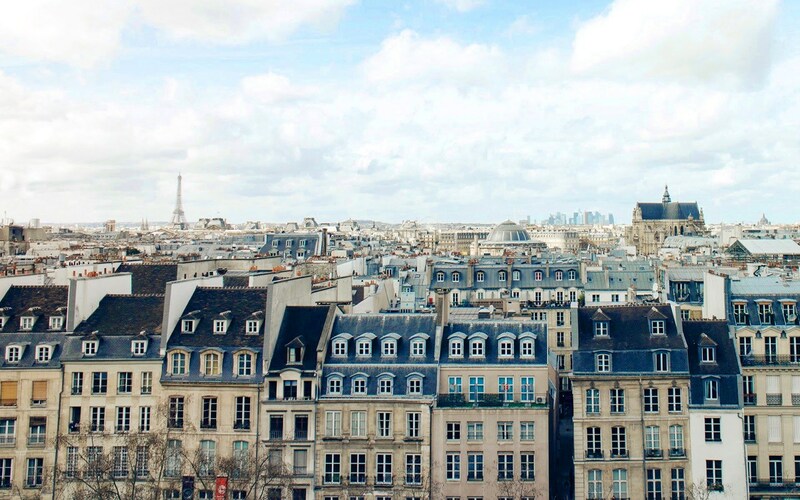 Not all of Paris’ best viewpoints cost money – one of the biggest bargain views is the free rooftop terrace at the Galeries Lafayette department store on Boulevard Haussmann. The store is famous for its elaborate window displays and high-end products, but if you head to the seventh floor there’s a huge panoramic terrace with 360-degree views across the Paris skyline and down onto the neighbouring Opera Garnier. 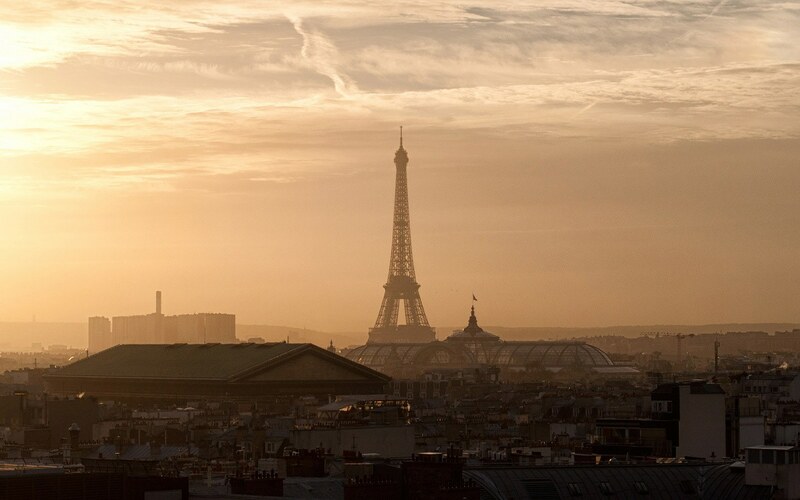 It’s especially beautiful at sunset, with two of Paris’ most famous landmarks in your sights – the Eiffel Tower in one direction and Sacré-Cœur Basilica in the other. If you want to soak up the views with a drink or meal then Galeries Lafayette has a bar and restaurant called La Paillote and Cube Bar on the rooftop where you can relax with a cocktail or a glass of Champagne as you look out over the Paris rooftops. The details: The terrace at Galeries Lafayette Haussmann is open from 9.30am (11am on Sundays) until 7.30pm. The nearest Metro stations are at Chaussée d’Antin La Fayette, Opéra or Havre – Caumartin. My favorite view is from the top of Galleries Lafayette. The terrace was still open the last time I was there in February and it is a magical almost secret view of the entire city. Looks great, I’ll give it a try next time I’m out there. I used to love the view from the café on the roof of the La Samaritaine department store next to the river until it closed down, apparently there are plans to redevelop the building though. My first view of the city from above was on the top of Notre Dame and it’s probably still my favorite. Great pictures! 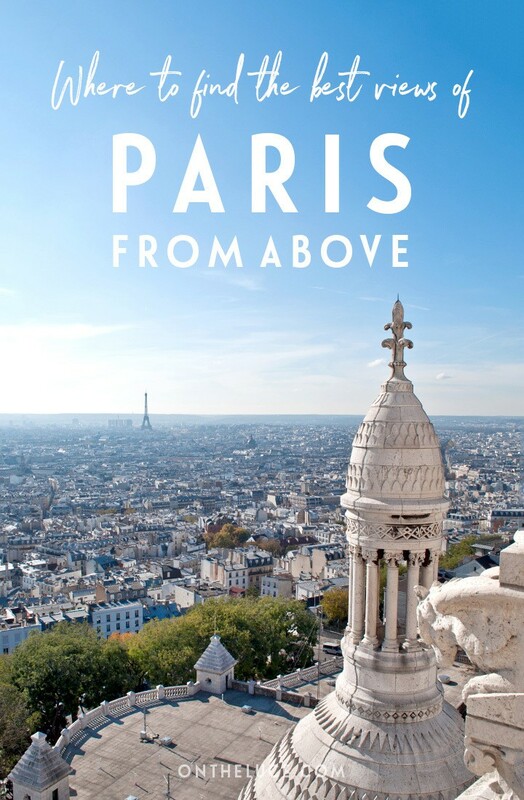 Going for Sacre Coeur Basilica as I’ve never been up there but would love to. Those are great pictures! We had clouds and my pics look a little different. Have a great week. Thanks – we had some bad weather too but being there a while meant I could wait til it was sunny to take all my photos! 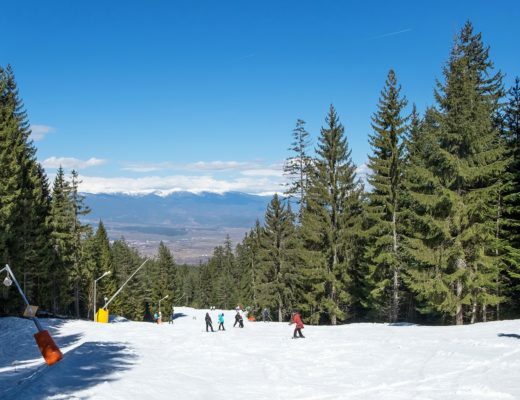 Thanks, someone mentioned that to me a while back and I forgot all about it but will make sure to visit on my next trip – looks great from your photos. great post, thank you! Heading to Paris in a couple weeks so will check some of these out. I was wondering where the very first picture on this post was taken? looks beautiful, I love the row of houses! That’s the view from the Pompidou Centre (not one I actually put in the guide but I’ll have to add it in!). Ah thank you! I’ve been there before but didn’t think to check out the view from the top, will do this time!